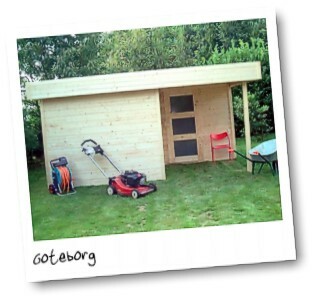 The modern Solid Goteborg Log Cabin is available in 1 size only - 14x13 in heavy 28mm thick Nordic white pine. It is supplied with a pent style roof, porch area and has windows fitted in the single sliding door only. 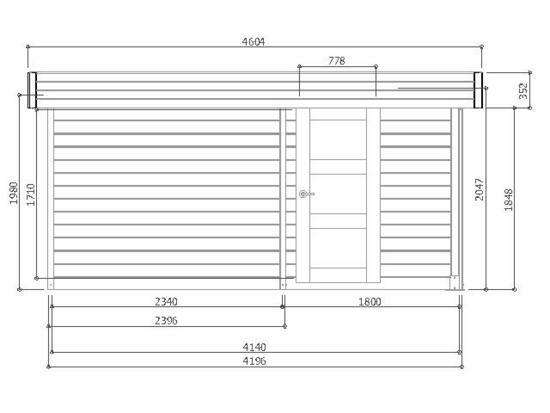 The sizes quoted above are external wall-to-wall dimensions, including the corner projections. The extreme external width to the roof is 4620mm x 4340mm.